This year the CCIC held its first Trainee Spotlight Award competition. Six winners were selected by a panel of reviewers from among a pool of over 30 applications to give platform presentations of their exciting new research at this year’s Cannabinoids in Clinical Practice meeting (Toronto, March 21 and 22). The selected awardees are also provided with $1,000 and waived registration fees to offset the cost of travel to the meeting. Our inaugural winners represent the cutting-edge best and brightest of cannabinoid research across Canada. All of our expert reviewers stated to me that selecting from among the outstanding applications was extremely challenging, which goes to show the quality and leadership that early career researchers in Canada are making in the field of cannabinoid science. It is my pleasure to introduce the winners to you here in this blog post. Ms. DeVuono’s research aims to investigate the aversive effects of high dose cannabinoids, including THC and synthetic cannabinoids. Recently, it has been found that high doses of cannabinoids can produce nausea and vomiting in animals and humans, and can even produce a severe cyclical disorder called Cannabinoid Hyperemesis Syndrome in the latter. These findings are in contradiction to the fact that low doses of cannabinoids are effective treatments for nausea and vomiting in individuals undergoing chemotherapy. Her research uses a rat model of nausea to investigate possible mechanisms for how high does of cannabinoids produce nausea. As cannabinoid use for both recreational and medicinal purposes gains popularity and THC concentrations increase, it is important to understand the possible negative consequences. This research will aid our understand and management of cannabinoid induced nausea and vomiting. Marieka grew up in Guelph, where she excelled in science and maths, and always had a strong curiosity for understanding how the world works. During her undergraduate degree at the University of Toronto, her favourite courses were neurochemistry of behaviour and psychopharmacology. She was fascinated with how small chemicals or drugs can have such a drastic impact on behaviour, and decided this is what she would study in graduate school. She had several guest lectures in her courses about the endocannabinoid system and cannabinoid psychopharmacology and became very interested in this growing field. 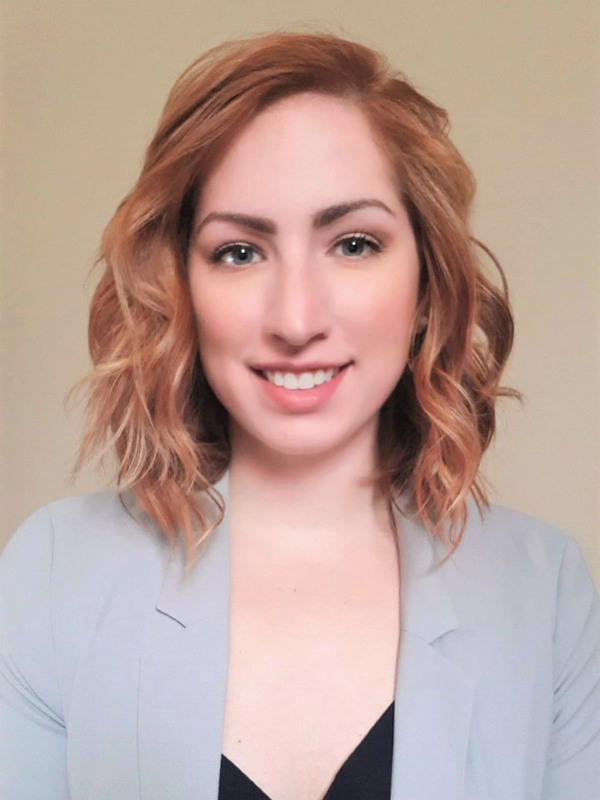 She began an MSc in the neuroscience and applied cognitive science program at the University of Guelph under the supervision of Dr. Linda Parker and then chose to transition directly into the PhD program in Dr. Parker’s lab. Canadians are continuing to die at unprecedented rates from opioid overdoses – now the leading cause of unintentional death. In light of the recent legalization of cannabis in Canada, intriguing preliminary evidence has demonstrated that cannabis may serve an important role in reducing opioid use and related morbidity and mortality among people suffering from chronic non-cancer pain. Ms. Lake’s research uses longitudinal epidemiological methods to explore the links between access to/use of cannabis, use of opioids, risk of drug-related morbidity (e.g. overdose), and management of common health problems including opioid use disorder, pain, and HIV among a large population of PWUD. Findings from this research can be used to inform clinical practices surrounding opioid and cannabis prescribing among high-risk drug using populations, community-based harm reduction programming, and the implementation and evaluation of the Canadian cannabis legalization framework. Stephanie grew up in Kamloops. Her dad worked as a veterinarian, and her goal was to become a veterinarian like him. As a Health Science major at the University of Ottawa (BSc 2011), she was exposed to a number of health concepts rooted in social sciences and the humanities. After taking an intro to epidemiology course in her final semester of undergrad she was hooked. 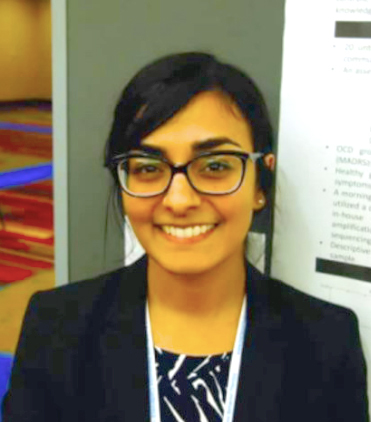 Gaining an understanding of the social and structural determinants of health and discovering epidemiological methods inspired me to pursue health research with the hope of contributing to changing policy. Stephanie completed an MSc in 2015 in the School of Population and and Public Health and started her PhD in the same department a few months later. Around the time she defended her MSc, we were seeing the beginnings of what is now a provincial public health emergency related to opioid overdose. 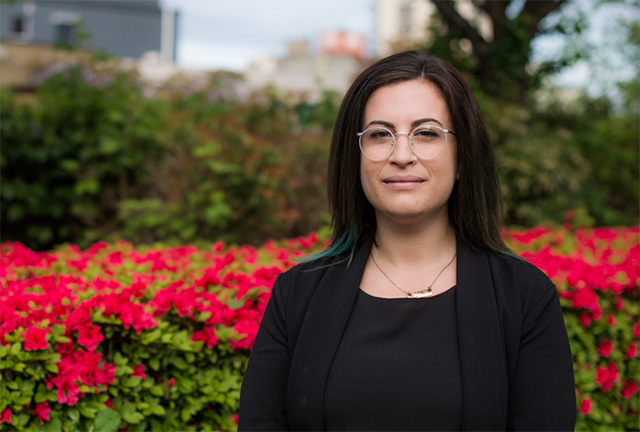 Her interest in cannabis developed over time as a MSc student exploring trends in pharmaceutical opioid use and related health issues among people who inject drugs in Vancouver. 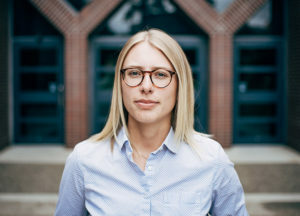 Ms. Thiessen works in the Therapeutic, Recreational, and Problematic Substance Use Lab (TRP Lab) on several projects, including a pre-and-post legalization evaluation of psychosocial outcomes in undergraduates and a clinical trial of cannabis for PTSD. Her research interests have examined cannabis and acute pain. Chronic pain is the most often cited condition for which cannabis is used therapeutically and we have some good research on it. However, when it comes to acute pain the evidence is lacking and equivocal with some evidence suggesting that cannabis may exacerbate acute pain. The harm that some can experience from the regular use of over the counter pain medication is also a concern that is often understated. Together with the current opioid overdose epidemic it is clear that providing suitable alternatives to patients is a priority, but we must first understand how and for who does cannabis offer analgesia. Michelle was born in Whitehorse, YT and relocated to the sunny Okanagan with her family when her sister started her studies at Okanagan University College – now UBC Okanagan. She has always been a curious individual and her dad helped stoke that when she was younger by responding to my many questions with “go research it!” Generating knowledge or capturing knowledge that exists already is really appealing to me and is something I am excited to make a career out of. Cannabis is a particularly interesting area of study to me because of the longstanding relationship humans have had with this plant. In 2014, Michelle enrolled in a few courses as a mature student at a local college and quickly realized how much she loved psychology and so transferred to UBC Okanagan. There, she attended a talk that Dr. Walsh had presented discussing recent findings on cannabis use in arthritis. She knew she wanted to look more closely at these claims and began volunteering in Zach’s lab. She never looked back, having recently completed her MSc and now beginning her PhD. Michelle emphasizes that Zach has been an incredible mentor! Dr. Turna’s current research focuses on the therapeutic potential of non-psychoactive cannabinoids. She is also involved in surveillance studies of the effects of cannabis legalization in Canada. Both of these areas of research are important given their direct relationship to health outcomes. Canada is the second country globally to have implemented cannabis legalization nation-wide. As such, we have a rare opportunity to examine the effect of this legislation. Overall, my research focuses on informing clear gaps in the existing cannabis and cannabinoid literature. Jasmine was born and raised in Toronto, ON and has always had an interest in science. Pursuing a career in research however became a clear goal after university when I began working as a research assistant. She completed her BSc and PhD (Neuroscience at McMaster University, which allowed her to focus all my energy on figuring out which supervisor and research areas would best fit my interests. She began to pursue cannabinoid research during her PhD comprehensive exam. This task involved exploring another project unrelated to her doctoral thesis, and she chose to develop a protocol and subsequently a grant around cannabis for anxiety. This process introduced her to her current post-doctoral advisor, Dr. James MacKillop at the Peter Boris Centre for Addictions Research and Michael G. DeGroote Centre for Medicinal Cannabis Research. Ms. Vecchiarelli’s work investigates how the body’s version of Cannabis (endocannabinoids) regulates comorbid anxiety during inflammatory diseases, specifically using a rat model of colitis. We have found that one of the endocannabinoids is reduced in the brains of rats with colitis and that by boosting levels of this endocannabinoid, we can reverse the anxiety associated with colitis. This is providing the foundation for using cannabinoids as a two-pronged therapeutic approach to treat inflammatory diseases and the ensuing changes in mental health. Haley is an international graduate student, who grew up around all around the United States, before coming to Canada for her graduate training. She received her BA in Neuroscience from Barnard College/Columbia University in New York City followed by her MSc in Neuroscience from the University of Calgary. 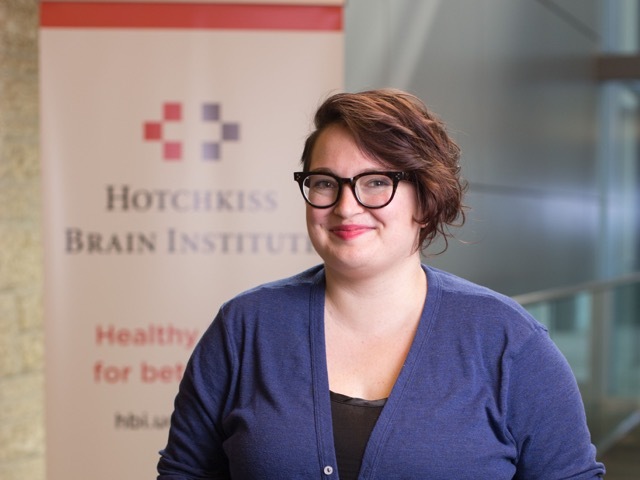 She is currently a PhD candidate in Neuroscience at the University of Calgary under the supervision of Dr. Matthew Hill. She has always been interested in science, but in high school I apprenticed in a neuroscience lab and that sparked her interest in studying the brain. Throughout high school and her undergraduate, she worked in a few different neuroscience labs, but when she was working in a neuroinflammation laboratory during her undergrad that was next to a stress neurobiology laboratory, she thought: “What if we put these together?” and became fascinated with understanding how stress systems in the brain interact with the immune system and vice versa, particularly as it has relevance to disease states. Dr. Valleriani works with several community organizations on the potential uses of cannabis as a substitution or harm reduction strategy for opioid and stimulant use, focusing on the potential of cannabis to lead to reduced harms through the reduced use or outright substitution of potentially toxic illicit drugs. In her work, she draws on in depth qualitative interviews with people who use drugs and service providers who are using cannabis instrumentally to reduce or manage illicit drug use in the context of an overdose epidemic and its potential use as a therapeutic intervention. Her study will generate critical understandings of how regulatory changes to cannabis influence patterns of use and the potential uses of cannabis as a tool in response to the overdose epidemic. It is anticipated that the proposed study will also inform appropriate, context-specific harm reduction project planning and implementation, assist in advancing policy and public awareness initiatives and strengthen community collaboration and engagement. Jenna grew up in the Niagara region, but has lived in the Toronto area for most of my adult life. She completed her BA at McMaster University, followed by an MA and PhD at the University of Toronto with Dr. Patricia Erickson. 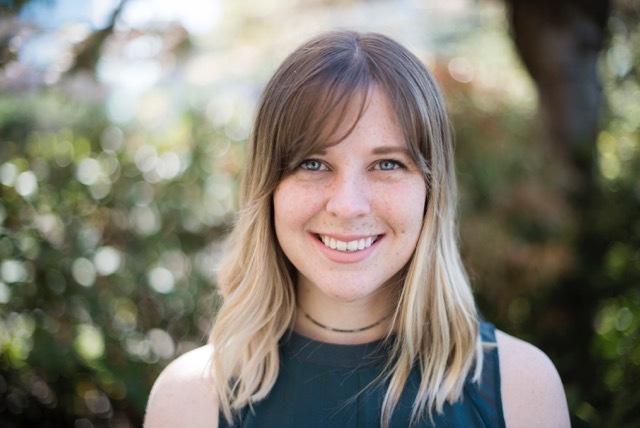 In December 2017, she moved to Vancouver and joined the Qualitative and Community Based Research team with Dr. Ryan McNeil at the BCCSU and UBC. At the BCCSU, I am building on their current work focusing on the overdose epidemic and on the potential uses of cannabis as a substitution and harm reduction strategy. Jenna is also an advisor to Canadian Students for Sensible Drug policy. I lead the development of CSSDP’s Sensible Cannabis Education Toolkit, youth roundtables during the cannabis consultation period, and presented this work to the federal government and Senate of Canada during debates around Bill C-45. She has written over 200 media articles on various issues relating to cannabis and cannabis policy. Jenna will begin in her new role as CEO of the National Institute for Cannabis Health and Education (NICHE) in May 2019. On behalf of the CCIC – and speaking as someone who only very recently became a faculty member and still feels very much like a trainee – I would like to end this post by again congratulating these spotlight award winners! At the CCIC we are dedicated to educating others about cannabinoids and Cannabis and it is highly encouraging to see and support the excellent up-and-coming research being conducted by these scientists.